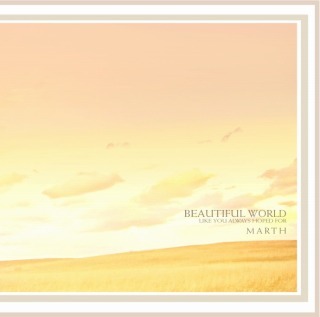 Profile:MARTH ｜ヒーリングミュージックサイト "Healing Music Online sales"
It is the healing music which envelopes you wholly with a gentleness of silky luxury. It is a peacefulness to find that we are one with the whole embraced in the arms of Great Nature. MARTH is a rare artist who spontaneously creates such magnificent music of the swiftly flowing big river. Words cannot tell its beauty, and it reminds us of a wealth of our world which we are originally given. U.S.A. and the quality of the sound is kept in the best by the strictly selected engineers of highest skills. We believe every little note performed so sensitively and carefully will reach the hearts of all the people as precious messages of beauty and wisdom.